Have you ever bought a journal and promised yourself to write in it EVERYDAY, only to have days, weeks, and months go by without even opening it? Are you one of those people who has a library of partly filled beautiful journals gathering dust on a shelf? 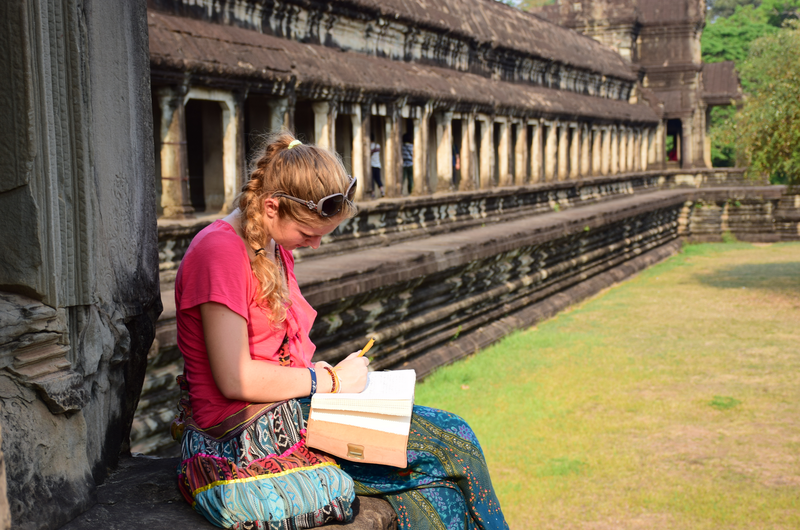 If so, then like you, I have always had a fascination with journals – especially ones I bring on a trip with great intentions to fill it with vivid details of a fabulous adventure. Yet, after the first few days of beautifully written journal entries, I begin to lose interest and think, “Oh, I’ll just write in it later.” I write in the dates of the days I missed and leave those pages blank, waiting to be filled LATER. But later never comes. So, it was with a forced smile and a skeptical mind that I agreed with my husband to spend a lot of money on a gorgeous brown leather journal for our then 14 year old daughter, Kaitlin. 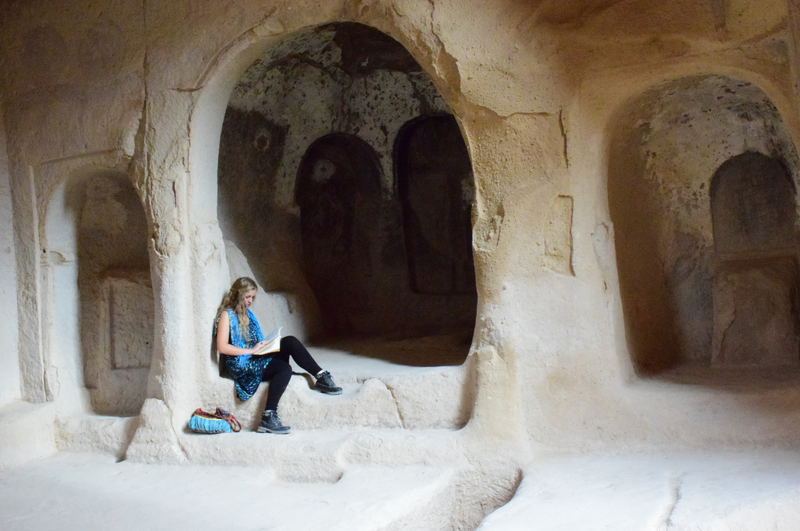 We were 3 months into our full-time travels at that time and Kaitlin, who had always been obsessed with “Indiana Jones,” couldn’t wait to fill her journal like the one Indiana’s dad had in “The Last Crusade” – with random thoughts, ideas, sketches, and interesting things she saw along the way. “Great!” I told her, but inside I still didn’t know if she would ever really use it. Boy was I wrong!! 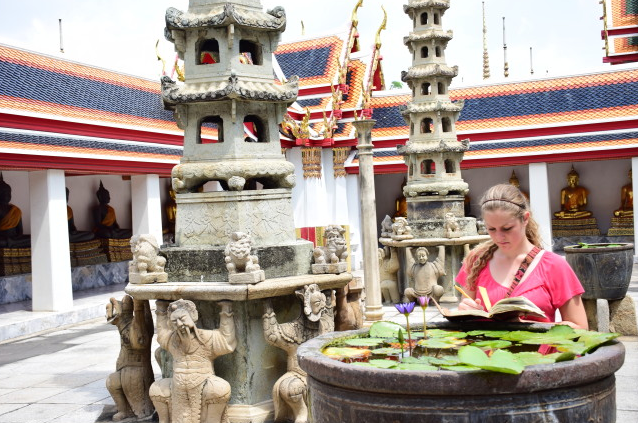 Now, almost 2 years later, Kaitlin’s travel journal has become her greatest treasure and travel companion – sharing in her adventures through 25 countries around the world. She, unlike me and my “journal perfection syndrome,” fills her journal with anything and everything that comes to her mind in a random, almost haphazard, yet beautifully creative way. Sketches, poems, thoughts, ideas, stone rubbings, foreign words, signatures and interviews of people we meet, bottle labels, flowers gathered, foreign stamps, … all find a permanent home in her journal. Kaitlin carries her journal with her EVERYWHERE and at each place we visit, she takes time to sit and reflect on what’s around her, using her senses to truly soak in the magic of the scene, and then capture the moment in her journal. 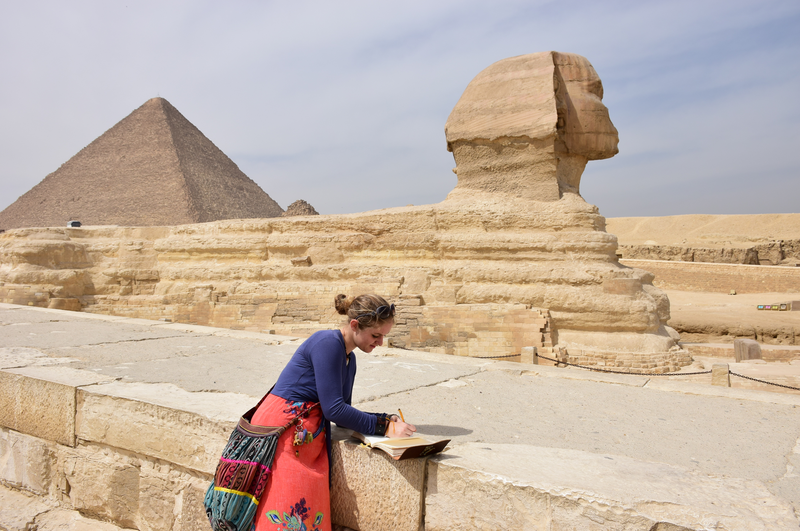 It is also a great conversation starter – as locals and fellow travelers are often very curious to see what Kaitlin is sketching or writing – and then ask if they can draw something or sign their name. 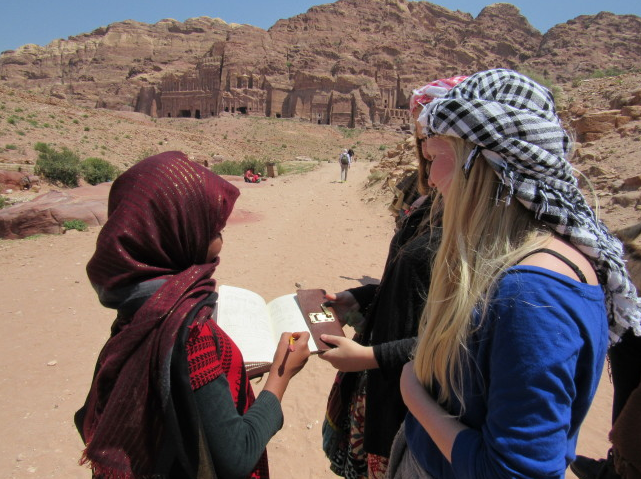 Through these encounters, we have made so many new friends all over the world. t only the major tourist sights, but even the simple or intricate details of a place or the people that are often overlooked, and to find beauty and a story in everything. Kaitlin’s journal is not just a travel journal, but a travel legacy, where every sketch, scribble, thought, or signature tells a vivid story of a moment that will never come again, but can be relived forever through her memories. 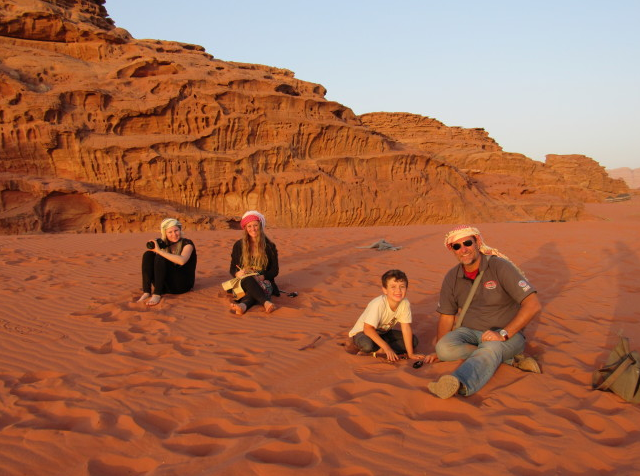 To read about the adventures Kaitlin shares in her journal, check out her blog, Travelin Kait. HOW ABOUT YOU? DO YOU HAVE A TREASURED JOURNAL? TELL US YOUR STORY! Thank you so much! Yes, you are right! She already loves to look through it and it will become more and more special as she grows up! 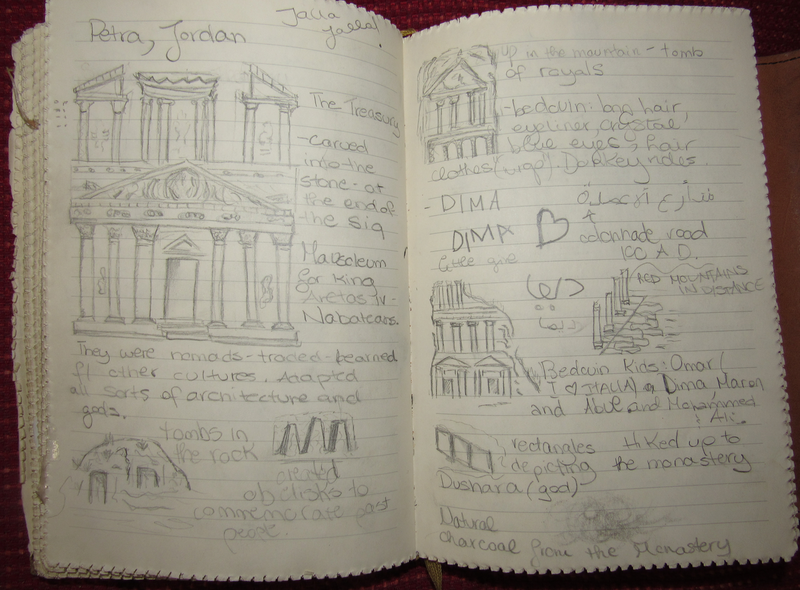 A wise woman once advised me to use a journal for my honeymoon…It’s one of the best treasures!